LOW Wow, I’m seeing a lot of that one stone circle. WTF Does that character have a pet dragon? I have a rule for judging Cthulhu Mythos games. It’s not a formal criteria and it doesn’t factor into the final score, but I feel it’s illustrative of what kind of game has been made, and whether I’m going to remember it fondly or not. That rule: How long does it take before a Shoggoth shows up? Judged on this criteria, Achtung! 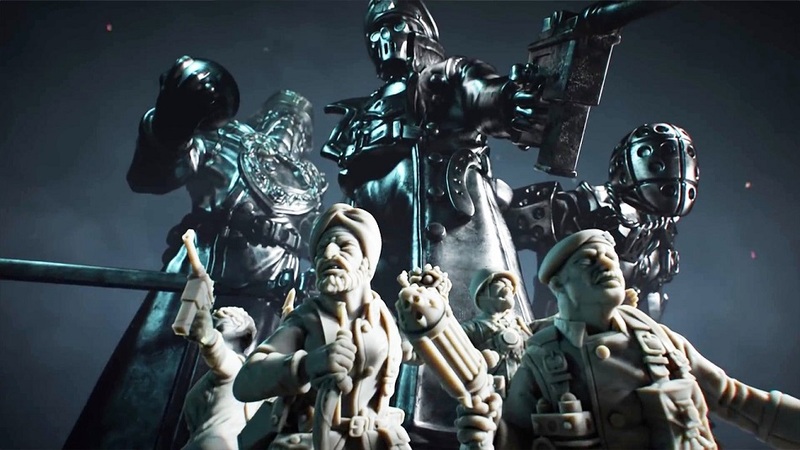 Cthulhu Tactics is a stunning success. Just a couple of missions in, players will find themselves swamped with formless alien abominations. The game is absolutely dripping with Shoggoths from beginning to end, and I couldn’t be happier. Also, it’s a pretty solid game. A!CT is a turn-based strategy title that takes players to the Ardennes forest during the Battle of the Bulge in WWII, where a team of commandos must investigate reports of Nazi occult science experiments and stop them from turning the tide of war. Across twenty missions they’ll battle enemy soldiers, twisted mutants, and the aforementioned Shoggoths, getting into some truly thrilling combat… and literally nothing else. That’s right, there’s no real framing, metagame, or even much of a story to delve into. 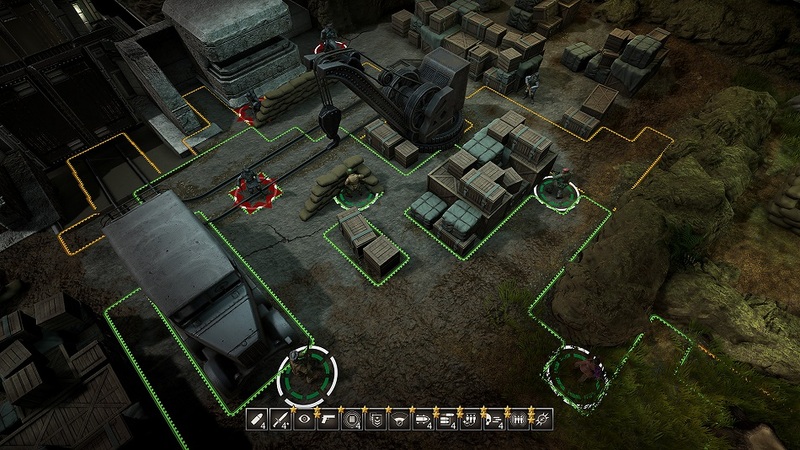 The structure is incredibly simple – the players are presented with a map, and offered two options: play the story mission immediately, or level up with a side mission first. A single screen of context for the mission will pop up, and then the battle commences! There are no resources to manage, secret areas to unlock, and the four-person team doesn’t even have to be managed carefully since the whole team earns experience and levels up together. The only decision players will ever have to make is which skills to buy and which weapon mods to bring into missions. Fortunately, the combat is deep enough to carry things on its own with a claustrophobic take on grid-based environments and a fog-of-war effect that completely blacks out everything that the characters aren’t currently able to see. Even if they have a good lay of the land, enemies can still lurk in the darkness. 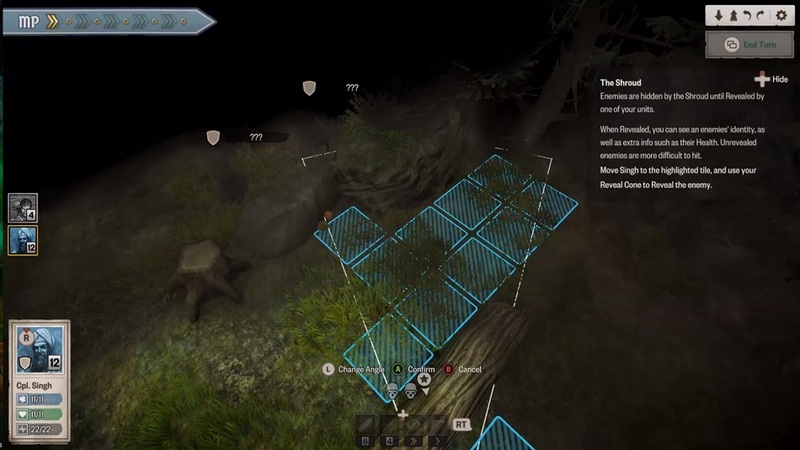 If they’re out of a character’s sight range, foes will appear as shrouds of mist, so players know that ‘something’ is in a particular spot, they just have no idea what its abilities are – and, of course, enemies that haven’t been fully spotted are much more difficult to hit. It’s important to note that there are just four pre-made characters available, each one with a set role to play. Don’t expect to make a small army of custom troops named after frenemies from social media! There’s a tough scout to rush into enemy territory and locate foes, a long-range support gunner to pin them down, a magician to let the Nazis know that they’re not the only one who can wield eldritch powers, and, naturally, a leader to buff the rest. When used correctly, the team can easily cut through whatever resistance they encounter, but figuring out what the game considers ‘correct’ is the biggest obstacle to face. At the outset, I approached Achtung! like XCOM — exploiting cover, moving characters in formation, flanking enemies when I found an opening… and I found myself getting killed quite frequently. I quickly learned that A!CT has its own rhythms of combat. The player is always up against a numerically superior force dug into all of the locations, and they’re happy to snipe from behind cover. It’s only by using the ‘momentum’ system that they have a chance. Every special character ability requires momentum, a resource that gets auto-replenished to a paltry degree each turn, but can be earned in greater amounts via aggressive play. Every critical hit and kill gives the player fuel for their special abilities, incentivizing them to do as much damage as possible, as quickly as they can. This fast-paced style is also highlighted by the way Achtung! handles health. In addition to hit points, each character has an equal amount of ‘Luck’, which soaks up the first few hits they take in combat. While health is only replenished by items or level completion, characters gets all their Luck back once they’ve cleared enemies out of an area. This Luck is actually a great way of letting players know that they don’t have to be excessively wary – since Luck acts as like a regenerating shield from a sci-fi FPS game, it will cover them as they make some risky moves. Disclosures: This game is developed by Auroch Digital and published by Ripstone. It is currently available on PC, PS4 and XBO. This copy of the game was obtained via publisher and reviewed on the PC. Approximately 15 hours of play were devoted to the single-player mode, and the game was completed. There are no multiplayer modes. Parents: The game is rated M by the ESRB. It contains Violence and Blood. In addition to the gore – enemies collapse in bloody heaps when riddled with bullets – the game deals with plenty of troubling subject matter. Human body modification, monstrous cult magic, Nazi war atrocities… it all comes up, and this should be restricted to older teens and up. Deaf & Hard of Hearing Gamers: I played almost the entire game without sound, and encountered zero difficulties. The game has no audio-only cues and audio in general is not necessary for successful gameplay. Narrative is delivered via text and the text is not resizable. Remappable Controls: No, the game’s controls are not remappable. There is no control diagram. 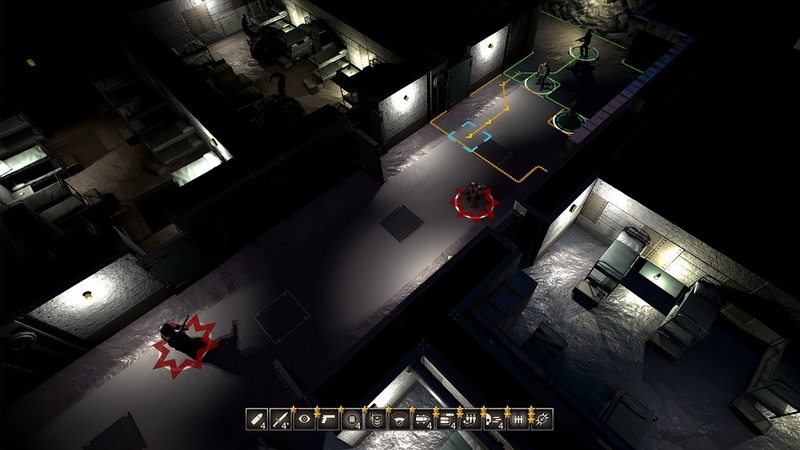 Players can control character movement and aiming with mouse clicks, and can either click on menus with the mouse or use keyboard hotkeys to select powers. If using the controller, players will move a cursor with the left thumbstick, and select options with face buttons and triggers.